This coconut short bread keto cookies recipe is a slightly modified version from my friend Megan Kelly. She has an incredible site Renewing All Things – Biblically Based Health, Nutrition and Lifestyle specializing in neurobiology, healing, and mental health. You will LOVE these cookies!! Step #3: Shape the batter into balls and place on a lined baking sheet. Step #4: Press the cookies down gently on the tops with a fork or a knife. Step #6: Let the cookies cool completely on the pan, otherwise they will crumble. This is a super tasty, fat burning, ketogenic recipe that uses great ingredients and is easy to make. 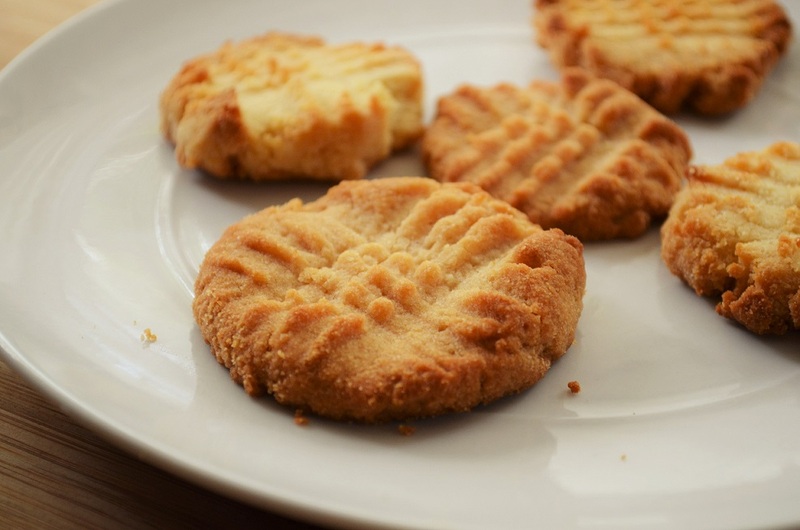 If you have been looking for a healthy short bread cookie recipe than you have found your match! Try these today and I guarantee you will not be disappointed. Using coconut flour is a fantastic strategy because it is low-carb, full of healthy fiber and good fats that have an anti-inflammatory effect on the body. Grass-fed butter is full of essential fatty acids and fat soluble nutrients such as vitamin A, D, E, K2, phosphatydlserine and butyric acid. I changed the original recipe, which used honey or maple syrup and instead substituted stevia which is an all-natural sweetener that is 100 times as sweet as sugar. 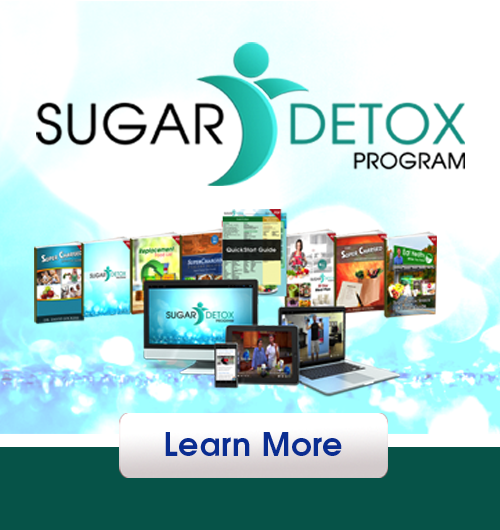 Stevia has no impact on our blood sugar, which is why I prefer it over other sweeteners. This is an amazing recipe that your family will love and enjoy! Can you use ghee as a grass fed butter for this cookie recipe? Yes you definitely can Gale! I would prefer to use jaggery or some other sweetener because I dont like stevias after taste. How much other sweetener would be called for? Yes you can, Megan’s original recipe uses honey or maple syrup. She said 1 1/2 tbsps is all you need. what is tbsps?? is it Tablespoons? Does this work with Coconut oil instead of butter?? Yes you can use coconut oil or ghee in replace of the butter. Has anyone tried other extracts yet? I’m thinking orange or lemon sound good. Also, do you have a net carb count? We don’t have a net carb count, but it is low carb. I would imagine these extracts would be excellent! Who makes 5-6 cookies? Do you have a recipe for 24? What are the guidelines for substituting maple syrup or honey for stevia if one is increasing the recipe? Hey Teri, you could simply multiply the recipe by 4 for 24 cookies. For the maple syrup or honey, you could try adding a 1/4 to a half cup, tasting the batter, and adjusting from there. Let me know how they turn out! I followed this recipe to a T and also found it to be way too crumbly. I added a little extra butter +2 eggs—better, but crumbled apart upon pressing lightly with a fork on top. This recipe needs to be reworked. Thank you for sharing Nadine! Also followed recipe to a T and was very crumbly. Could not use a fork to press down…crumbled. Tastes great though. 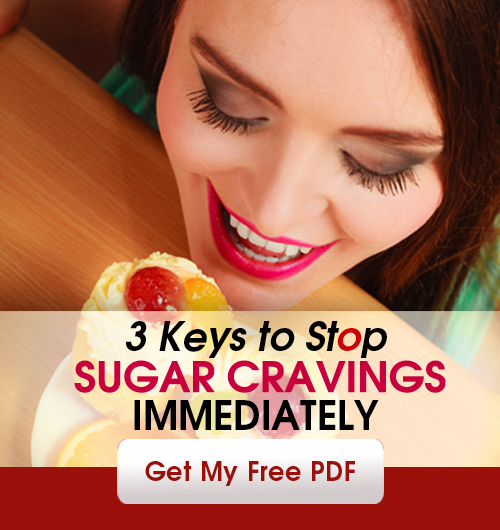 I used Sweet Leaf vanilla cream stevia…no aftertaste. Thinking my coconut flour was too fine? ADDING SOME COCONUT FLAKES WOULD ACCENT THE FLAVOR? You can definitely do that Nancy! Glad you enjoyed them Sherry! I was very excited to try these but they were terrible! I followed your version and they were so dry I could not flatten with a fork. I added a bit of water and got them on the baking sheet. However, they came out very dry and without much flavor. And I added extra vanilla for moisture. I think they could be reworked with a bit of nut butter and/or almond flour added for moisture? And maybe swerve instead of stevia. But then they won’t be shortbread. Oh well, the search goes on! Good suggestions Maddie! Let us know how they turn out if you try that! This works for an awesome crumb topping and satisfied the craving for carbs on top of a whipped cream over berries only dessert. Wow. Short bread are my favorite cookies. I was very excited this popped up on my feed. Very easy to make. I added coconut and tried it with coconut flavoring and some with maple flavoring. I had to leave in balls as the dough would crumble so I didn’t bother with a fork. I’m happy with this recipe. I will try different variations. Awesome, thanks for sharing Pam! This really didn’t work. I added egg to bind and it helped. I would look for a better recipe before making them again. Sorry they didn’t work out for you Jules! What about using some psyllium as a binder? Yes sure you can try that out! Like many others have noted, this recipe comes out way too dry for me and can’t be shaped at all. Even after I tried adding other ingredients for moisture, they came out a crumbly mess. With about a 50% “fail” rate, could you please double-check your recipe? Thank you! Yes thanks for sharing Star!